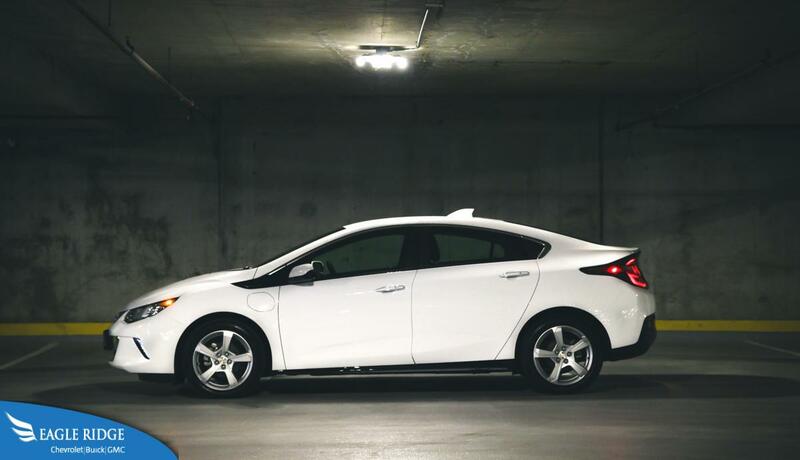 The Chevrolet Volt is unlike any other hybrid vehicle, that is if you consider it a hybrid vehicle. Some would consider the Volt as an electric vehicle because most of the time it doesn’t use its gasoline engine. In fact, depending on the commute and availability of charging stations, the Chevy Volt doesn’t need to turn on the gasoline engine for extended periods of time. When it’s running on purely electric mode, the Chevrolet Volt can achieve up to 85km of range. Most commutes from the suburbs to the center of a city are less than that. Both to and from. 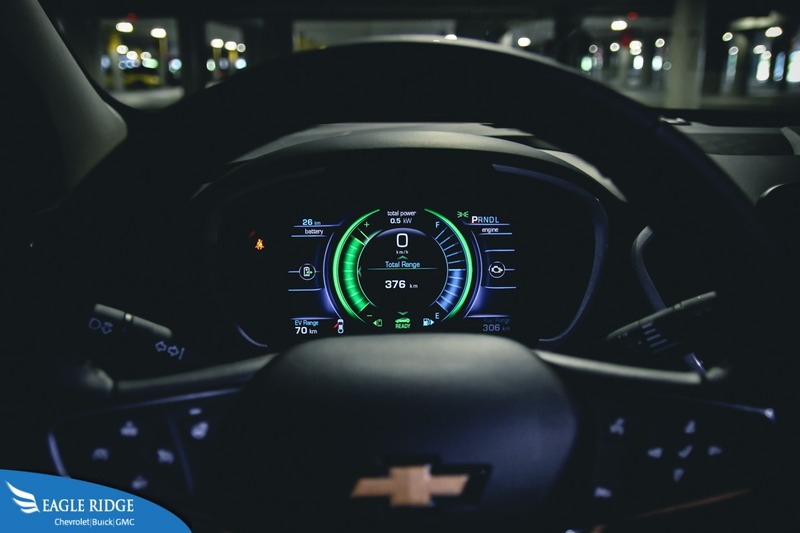 That means that the Volt can be charged up at night and be ready in the morning or if there’s a charging station near work, it can be charged up and be ready in the afternoon for the commute home. However if a trip is longer than 85km, you don’t need to worry about getting range anxiety because the on-board gasoline generator will automatically start up and begin charging the batteries and providing electricity for propulsion. Charging the Volt takes just 4.5 hours to do if a 240V outlet is available. If 120V is the only outlet that’s available, it will take approximately 13 hours. But because this also has a gasoline generator, refueling the gas tank takes just 5 minutes and the car is good to go for another 400-500km before requiring another fillup. The reason why the Chevrolet Volt takes so long to charge from a 120V outlet is because it has an 18.4 kWh lithium-ion battery pack that powers two electric motors producing 149hp, roughly the same amount of power as a gasoline powered economy car. However it doesn’t feel as slow as a normal car because with electric vehicles, you get instant power the moment you put your foot down on the accelerator pedal. Around corners it’s not as bad as you might expect from an economy electric vehicle. The electro-assisted steering feels precise and quite enjoyable to drive on twisty roads. Just be careful when accelerating hard out of a tight corner because the inner wheel will spin from the instantaneous torque of the electric motors. As you’d expect from an electric vehicle, it has a very quiet cabin. The only noise that intrudes is wind and tire noise at higher speeds along with a faint whistle of of the electric motors. 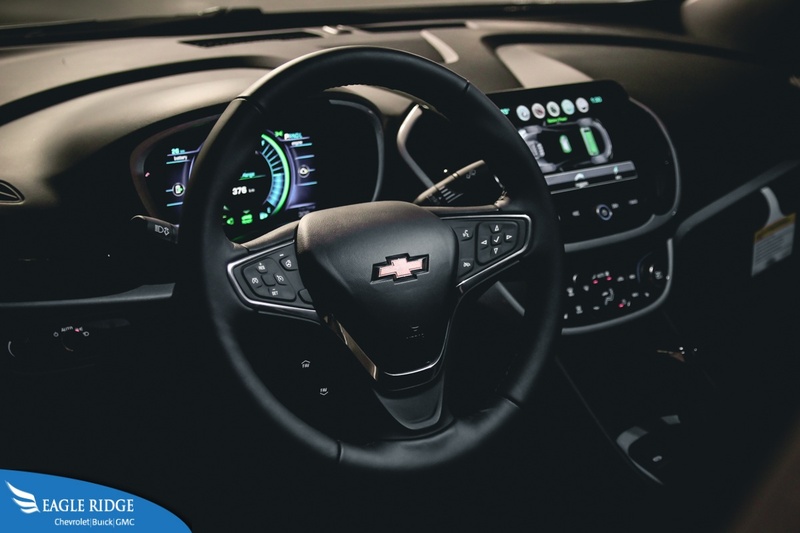 The layout of the dashboard is conventional and similar to that of the Chevrolet Cruze where everything is where you’d expect it to be. However don’t expect to see much out of the rear window because the high trunk line blocks visibility to the point where all you can see are the roofs of the cars behind you. The suspension is also soft enough to provide good comfort when going over bumps and potholes on city streets. The front seats offer plenty of space for front occupants and there is just enough leg and headroom in the back seats for average sized adults but the middle rear seat (if you can call it that) is a joke because not only is there no cushion, but absolutely no headroom. Although there is still “plenty” of oil left in the world, electric vehicles are gaining in popularity and continue to be made better every day. 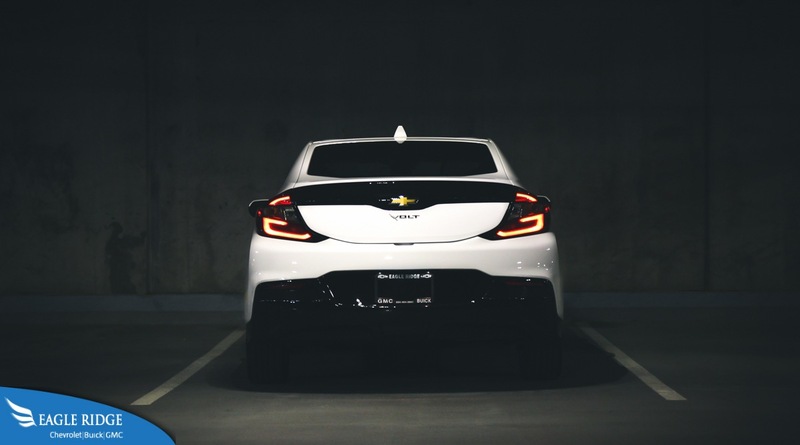 The Chevrolet Volt blends the best of both worlds by utilizing clean and cheap electricity for majority of the time and only using gasoline when it’s a necessity.